Do your hands have visible veins, wrinkles, thin skin or a bony appearance? 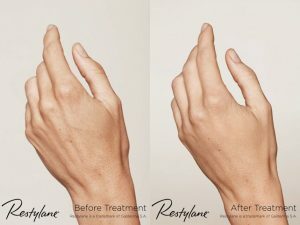 Restylane Lyft can help you achieve more youthful looking hands, with no downtime! As a part of the natural aging process, volume in the hands deteriorates over time, making hands appear aged. Veins, tendons and bone may become more noticeable. If you are experiencing this, don’t fear, because volume loss from age can be corrected! Hyakuronic acid filler is injected below the surface of the skin to correct volume deficit, resulting in a more youthful appearance. 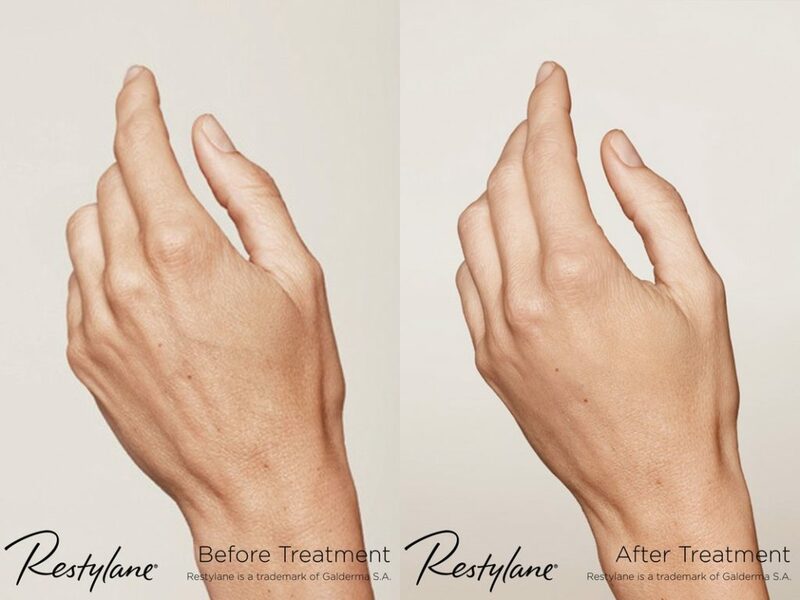 Restylane Lyft is a safe, effective and dissovable HA filler.